Apparently this woman is actually a bike. Don’t be fooled by her human-like appearance, as it is merely a clever disguise. She is a bike who has cunningly disguised herself as a human, for reasons unknown. How do I know she’s a bike? 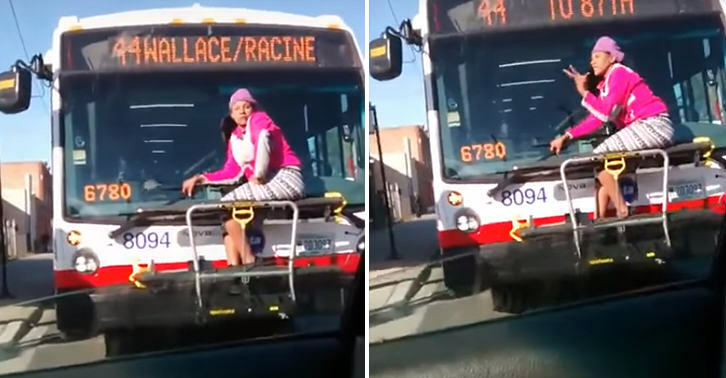 Because she’s sat in the bike rack of a bus, and she keeps saying, “I’m a bike”, obviously. For some reason the bus driver doesn’t believe her claims, and insists she gets off the bike rack, as she’s causing a traffic jam.